Huawei P30 specifications and price in India: March 26 launch! Adsense account disabled : My story How I got it back! Is this what Huawei’s next big product? As per the recent tweets by Huawei, They are going to launch its new flagship ranges on 26th March 2019 which includes P30 and P30 Pro handsets. In today’s article we will talk about Huawei P30 specifications in great detail and tell you everything about this smartphone and what to expect in the near future! Although the leakers have been quiet for a long time about these phones. But the recent certification of devices in Taiwan and Indonesia lead to knowing some specifications of these handsets. While the Huawei P30 will be having 6-8 GB RAM and 128 GB Internal storage then Huawei P30 Pro will come with 8gb RAM and 128/256 GB internal storage. 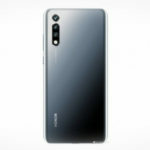 The third handset is assumed to be Huawei P30 Lite. Huawei Netherlands leaked a promotional page accidentally on their website which showcased the P30 and P30 Pro. The page has been removed by now but a lot of product images and pre-order bonuses have been leaked already. While these phones have successfully been tested for 4g networks but as other countries having 5g will have a lesser interest in it since people there would be hardly able to enjoy Gigabyte speed although to complete this need of consumers company has already installed Balong 5000 mod in the Kirin 980 chipset. These phones will have a fingerprint scanner under the screen like the recent flagships. According to the leaks by OnLeaks, Huawei P30 Pro will be having a special Periscope rear Camera. As the leaks of the Leaked press said the handset will be in Black, Twilight and Aurora Blue variants. The P30 would come with a dewdrop notch and would have a triple camera setup i.e. 1 camera sensor less than the P30 Pro. The exact release date is March 26 and Huawei will offer gifts to those who will pre-order before April 8th 2019. Those who preorder the P30 will get a Sonos One speaker and the ones who will order P30 Pro will get a wireless charger along with the speaker. Huawei P30 specifications: The Rundown. 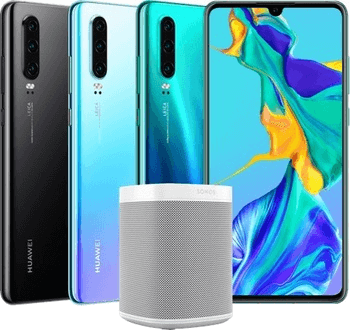 A lot of publications and sites like GsmArena have already come up with pretty detailed specifications for this particular model and hence we will also roundup some of the main specifications which have a huge impact on how this device would actually be for a lot of end consumers. Display: The device is expected to come with a 6.1 inch AMOLED display with an FHD+ resolution and HDR10 support. It would have over 400+ PPI. CPU: Under the hood, it’s expected to come with a Kirin 980 chipset based on a 7nm architecture. It is also expected to come with a hybrid sim slot which means that there won’t be a dedicated slot for micro SD card expansion. Camera: The triple camera sensor on this one would most likely feature a 40 MP wide sensor with f/1.8 aperture and a 16 MP ultrawide sensor with f/2.2 aperture and an 8 MP telephoto sensor with f/2.4 aperture and up to 5x optical zoom support. All of these would support either Phase detection autofocus or laser. The front camera is expected to be a 32 MP sensor with f/2.0 aperture. Battery: The device is expected to come with a non-removable 3650 mAh battery and would support fast battery charging. So guys let’s wait and watch for Huawei P30 price in India and other details. As and when this smartphone comes out we will update you with more details regarding the same. Do let us know what you think about Huawei P30 specifications in the comments section below! Follow Inspire2rise on Twitter. | Follow Inspire2rise on Facebook. | Follow Inspire2rise on YouTube. Previous article Honor 20 Specifications and Price, renders leaked online! 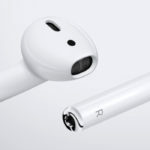 Next article Apple AirPods vs Apple AirPods 2 Review: What’s changed, is it worth it? Aditya Nath Jha is an Engineer from New Delhi, India. His areas of interest include Gadgets, WordPress, speed optimization & latest technology. When he is not busy blogging he loves to write poetry, compose his own songs and has a taste for music! Find me on Facebook, Google +, Twitter, Linked in. And watch my videos on Youtube. 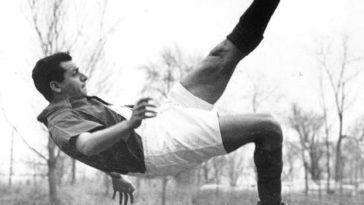 The importance of a beginning : Why you should start? [UPDATE] December 2013 PageRank update : What I learned? iPhone 11 specifications and iPhone 11 Max leaked, design confirmed! Qualcomm Snapdragon 735 specifications leaked, 5G coming to midrange? Xiaomi Redmi Note 7 Pro long term Review: Is this the best? AMD Ryzen 3 3200G specs and details leaked, 12 nm Zen+ and more! Samsung Galaxy Fold display issues, Samsung out with a statement! Samsung Galaxy Note 10 Pro leaks, 5G Note 10 and more! Honor 20 Specifications and Price, renders leaked online! Apple AirPods vs Apple AirPods 2 Review: What’s changed, is it worth it? Inspire2rise™ is one of the leading technology & blogging websites in India. We share the latest content on gadgets, new technology, inspirational stuff and blogging tips. Get ready to be Inspired. Sathish Arumugam on How often does Domain Authority update, should you worry? All are born equal, only some Inspire2rise! 2011-19 © Inspire2Rise Partnership Firm. All rights reserved.